The subject matter here is the film ‘Escape to Victory’… or ‘Victory’ for our American cousins. 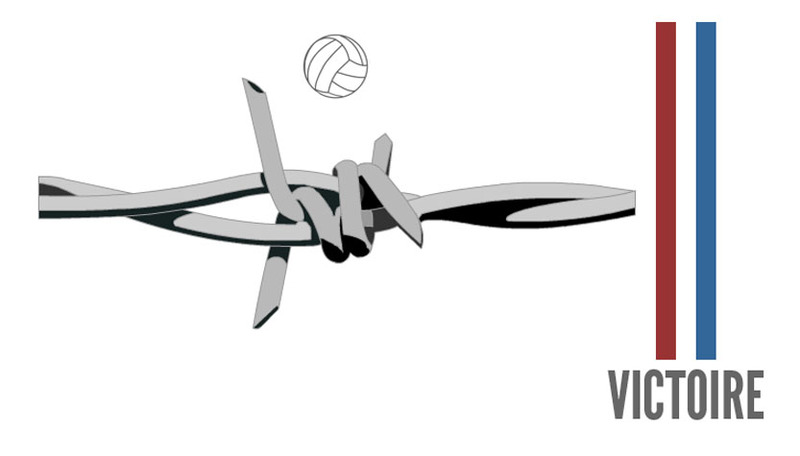 I’ve tried to incorporate Pele’s overhead kick (from the end of the film) into the barbed wire itself. The central part of the wire represents his legs, left arm, neck and head. Hopefully if you look at it long enough you will see what i’m driving at.